The Nelson Fan Clock by Vitra is a part of the Wall Clocks series, which was designed between 1948 and 1960 by George Nelson. 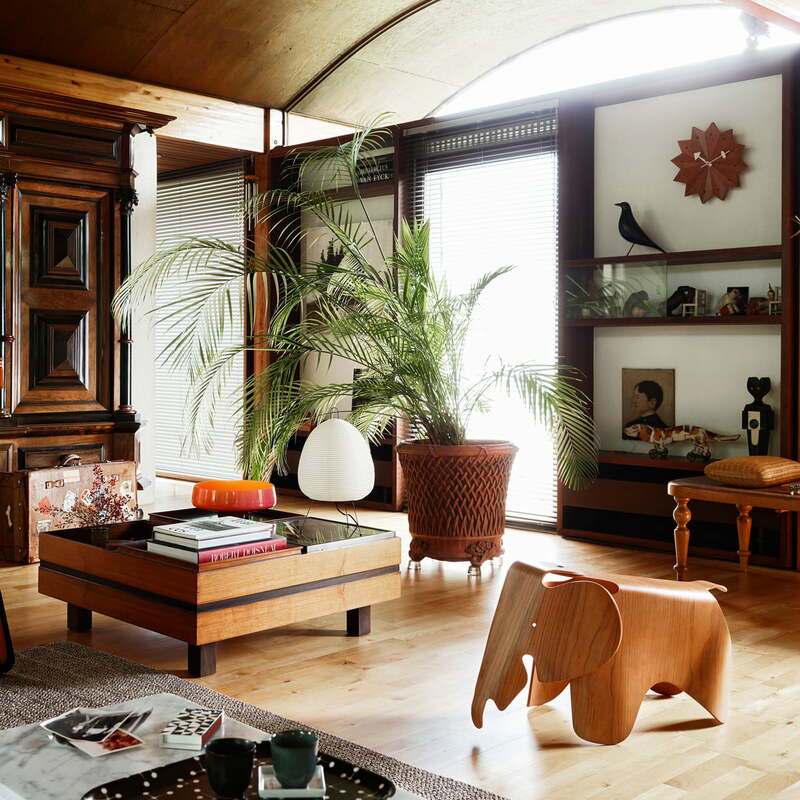 The series includes various models of clocks that have been design icons since the 1950s. 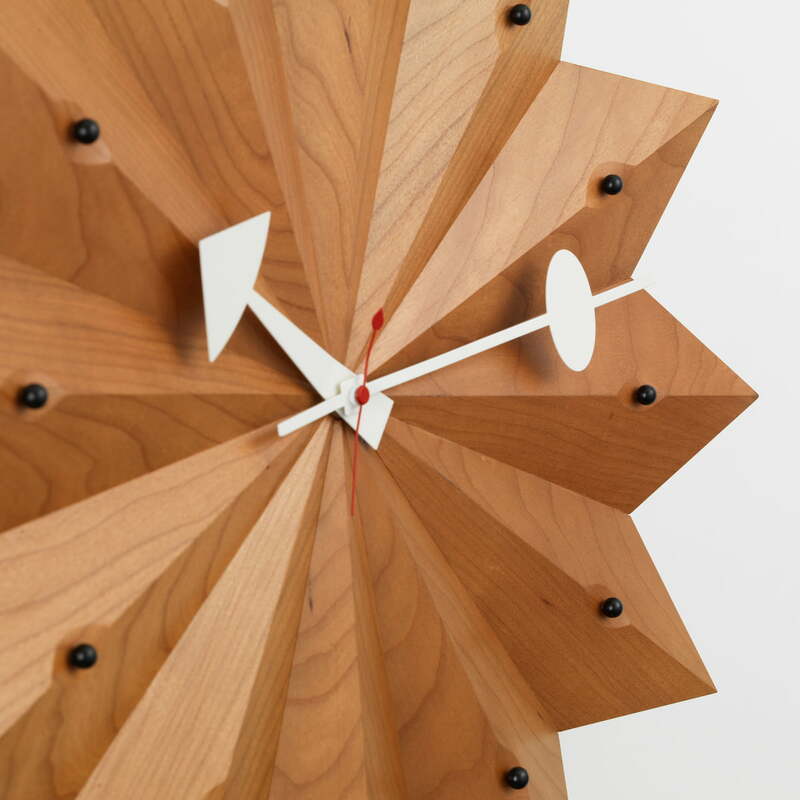 The Nelson Fan Clock is characterised by its star shape and is manufactured from various types of wood, becoming a modern classic on any wall. The wall clocks come in many different shapes and materials. Thanks to the the high-quality quartz movement and the extraordinary shapes, they are a great alternatives to conventional clocks. The great variety of the series means that there is a clock for every taste and environment. 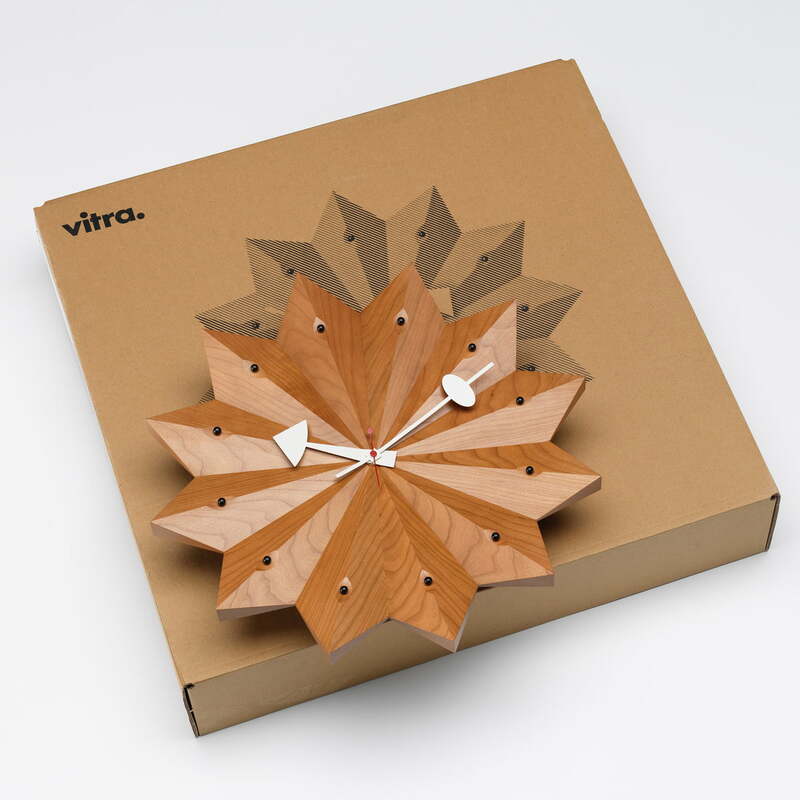 The Nelson Fan Clock by Vitra is a part of the Wall Clocks series, which was designed between 1948 and 1960 by George Nelson. The diverse series includes various models of clocks that have become design icons since the 1950s. 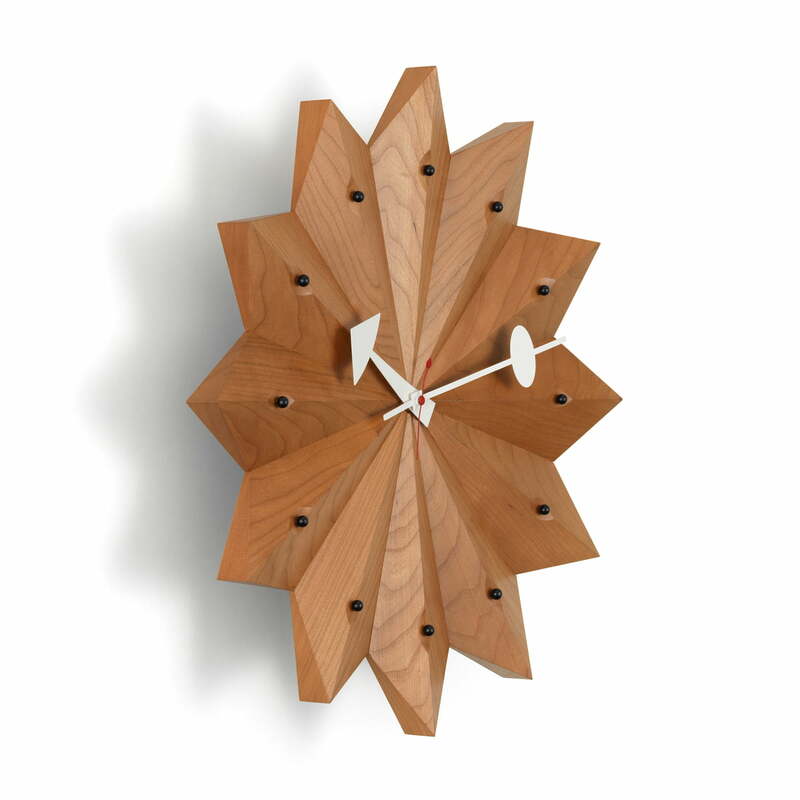 The Nelson Fan Wall Clock is a star-shaped clock that stands out with its variety of woods and unusual shape, becoming a modern classic on every wall. The Wall Clocks come in many different shapes and materials. Thanks to the the high-quality quartz movement and the extraordinary shapes, they are a great alternative to conventional clocks.